In my opinion, Soia & Kyo is very petite friendly and figure flattering in their smaller sizes (they carry size XXS but I went up a size to XS so I could layer with comfort). 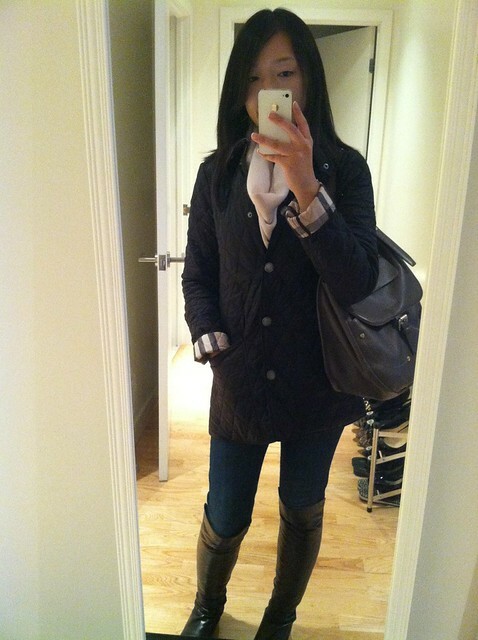 They usually have a few items that catch my eye (although I wouldn’t mind having a Mackage coat too). The Bergi coat originally had a more pronounced tulip hem that you may or may not be able to discern from the stock photos and the sleeves were on the longer side. To make the coat more wearable (instead of being a special occasion coat) I had it hemmed and I also shortened the sleeves. The end result is a classic cream coat that looks great for casual wear or dressed up with pumps. I also brought in my khaki Theory trench coat for some alterations. 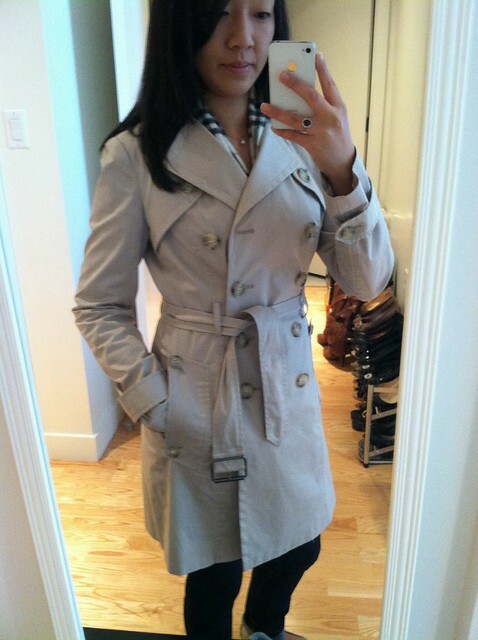 I loved this trench with its classic lines and details and I actually wore it as is for a few years but I was always bothered by the size of the lapel. I have a smaller chest and the lighter color makes the lapel seem more pronounced. This year I decided to do something about it and I had the lapel reduced after finding a tailor I trust. 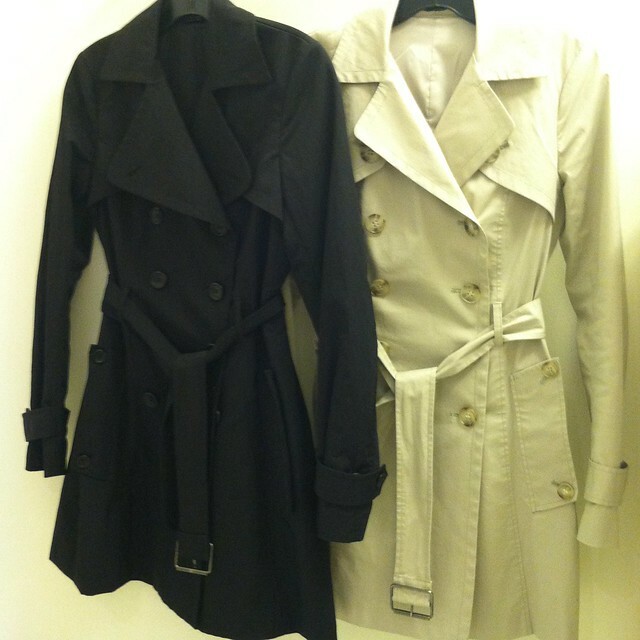 I admittedly forgot to take before and after pictures of the khaki trench but I have the same trench in black. You can see the original lapel (including button holes) in the picture below. The original lapel actually looks okay in the black version so I’ve opted to leave it alone for now. I don’t plan on buying any new coats this season because I splurged on two Burberry coats last year (see them here and here or buy them here and here). We’ll see if I hold out. hehe I also purposely altered the Soia & Kyo coat so I’d get more wear out of it. One of my favorite things about winter are all the pretty coats (and cozy scarves… don’t get me started on scarves) but if you invest in classic/quality coats then they should least you at least a few years. 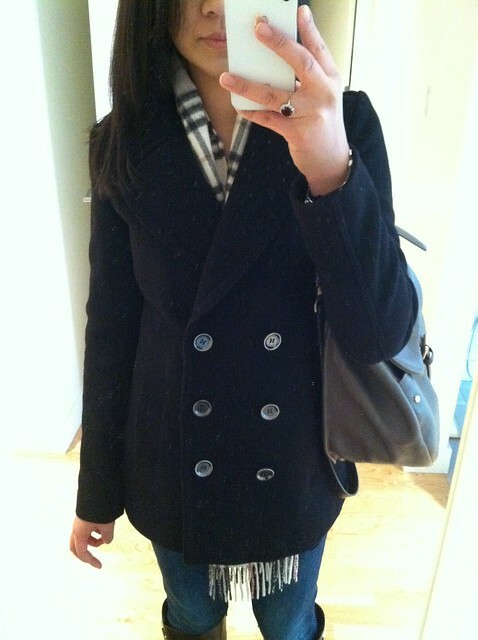 What about you, are you planning on buying any new coats this season or altering an existing one? Previous Post Extra crispy. Read all about it! 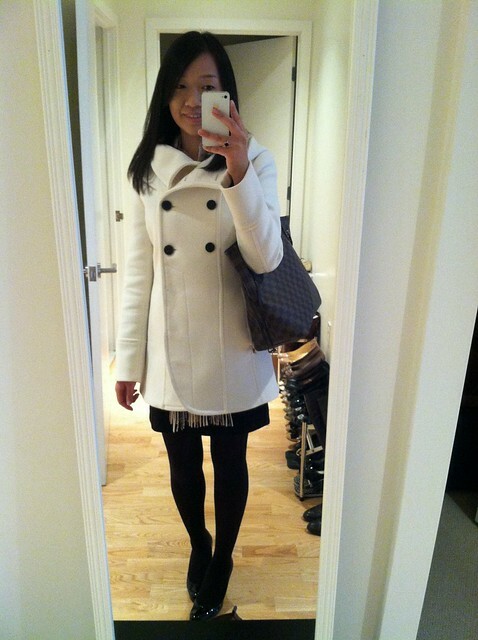 The Soia & Kyo coat is lovely in white! Love the collar! I just bought a red short trench that is part-wool. I had to size up because my shoulders and upper arms seemed cramped but now I'm self conscious that it's too big. Maybe I should have gotten the "regular" and then had the sleeves altered. But it wasn't a magnificent coat to begin with, so I didn't want to spend the money on alterations. Anyways, I want to take some photos and see how it looks. I hope it's not as bad as I think and it's all in my head. Sorry for the long rant. LOVE the way your coat fits on you! Yay! So glad this comment came through. :)They have a similar one this year called Belinda I think. The style I have is available via Bluefly.com but not in the color I bought last year. Definitely get your coat on sale if you plan to do alterations. This one would have cost me $75 in alterations but they gave me 15% off so it was $63.75. Pricey I know but I hope to love it and wear it for many more years as long as I don't get it dirty/stained. Aww… thanks Jess! I caved and bought a Burberry jacket to 'try on' or so I tell myself.I adore coats so it's always nice to stay stylish and warm. Drooling! I've been looking for an inexpensive trench coat but I haven't found one I'm pleased with yet. 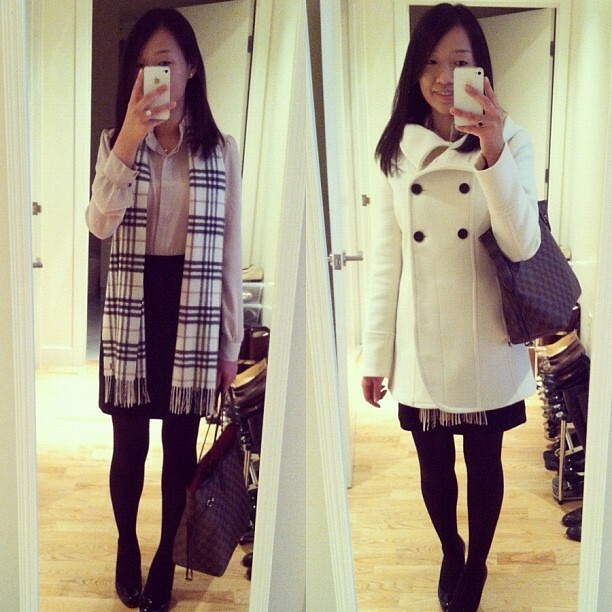 The Burberry trench is at the top of my wishlist. Expensive, but long-lasting. Yours look amazing! Thanks Jenny! 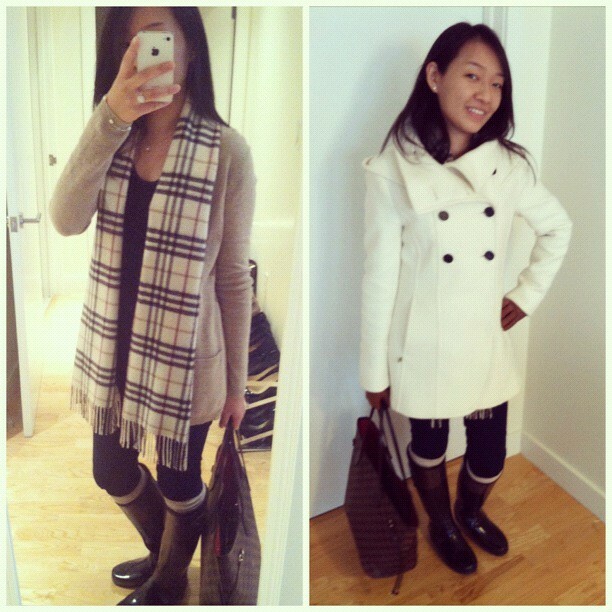 I want a Burberry trench too! I love the fabrics they use for their trench coats. My Theory is a little thin so I can only wear it if I layer underneath in the winter.